Souplesse – Synonymous with good style is the more evocative French word souplesse. It means to pedal at a high cadence and with seeming ease. An untrained cyclist will tend to ‘mash‘ (push) a big gear at a low cadence. A well trained athlete will be able to pedal with souplesse – high cadence for hours on end. ‘Shelled out the back’ / ‘Off the back’ When you can’t stay with the leading group and you get dropped, you are said to have gone out the back – dropped from the back of the peleton. Probably destined to ride with the gruppetto or if you’re really dropped you could end up in the broomwagon. Broomwagon – The vehicle that goes behind the end of a race picking up those unfortunate riders who’ve got dropped or fallen off. ‘Bonk’ – A real cyclist is one who doesn’t snigger, like a 12 year old schoolboy, when someone mentions the word ‘to bonk’. He knows that bonking is that painful experience of running out of glycogen whilst on a ride and coming to a virtual standstill or at the very best ‘pedalling squares‘. More delicate minded people may prefer to use the phrase ‘to blow up’. Gurning award – The good thing about cycling is that even if you’re not very fast, you can always enter the competition for the best ‘gurning’ award. This involves contorting the face into the most ridiculous expression to give the impression that you are trying really very hard. The best place to get a good ‘gurning’ is at an event like a short hill climb, where you make a short explosive effort over 2-3 minutes. In the pro-peleton, Thomas Voeckler has made a career out of facial contortions and gurning. It makes him popular with French housewives, apparently. Bagging a road sign If you don’t quite make it as a pro tour rider, you can always comfort yourself with the prospect of beating a few club riders to local village signs. Not only do you gain temporary bragging rights, you can also gain points in an imaginary green jersey competition. The prospect of bagging a road sign also enables you to justify bringing out your state of the art carbon fibre bike on winter training runs when the road is full of salt water. In this digital age, the more traditional “Bagging a road sign” has been replaced by the Strava hunter who goes around waiting for roaring tailwinds and steathily stealing virtual KOM’s on GPS measured routes. Digital EPO Those who take to modifying their electronic data to appear faster on GPS measured segments, gaining illusory Strava KOM into the bargain. It is uncertain which is more depressing taking digital EPO or taking the real stuff. To put the hammer down – To ride really fast and try and drop people. Make sure you don’t put the hammer down at the wrong time or to the wrong people or after 5 minutes of mashing your big gear, you will find yourself unceremoniously out the back. Involuntary dismount – i.e. fall off. Involuntary dismounts frequently bring much mirth to those who witness your action. But, strangely, their mirth fails to lessen your pain of picking up road rash and sitting in a pile of horse manure on a country road. 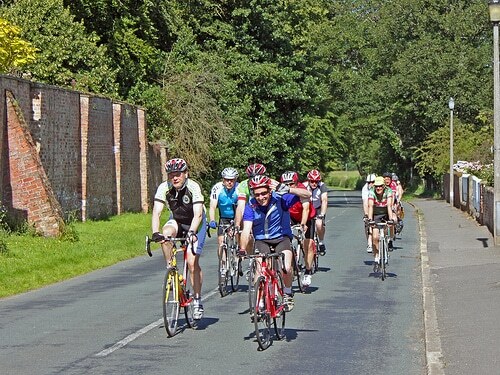 Bagging Out – Plan to go out on a ride with friends, only to see them drop out at last minute. 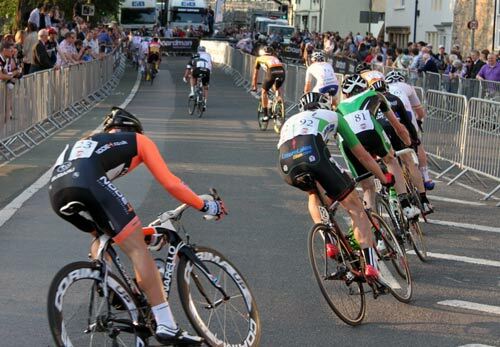 Some of the best excuses for missing local training ride – fixing bike, watching Le tour to learn race tactics. The artful confession. There is a certain art to making a cycling doping confession. Firstly, wait until at least 10 years after the event, express a modicum of remorse at having got caught, mention everyone else was doing it anyway, and BTW: does anyone need a new Director Sportive for a procycling team? 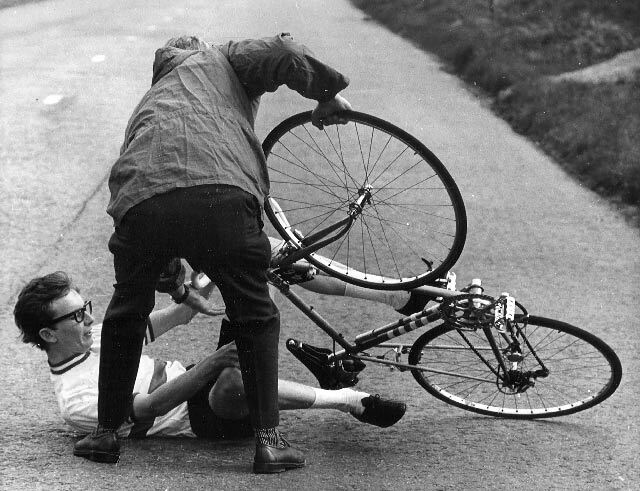 The golden age of cycling – Cycling was always better in the past. This is an unalterable law of cycling. 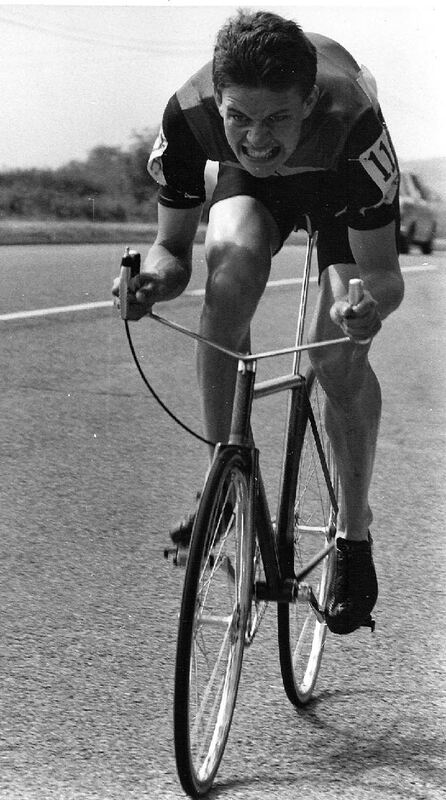 In the good old black and white days, there were no drug scandals, no cars on the road, just happy cyclists riding 150 miles a day, fuelled by nothing other than jam sandwiches, a pot of tea and good old British sunshine. 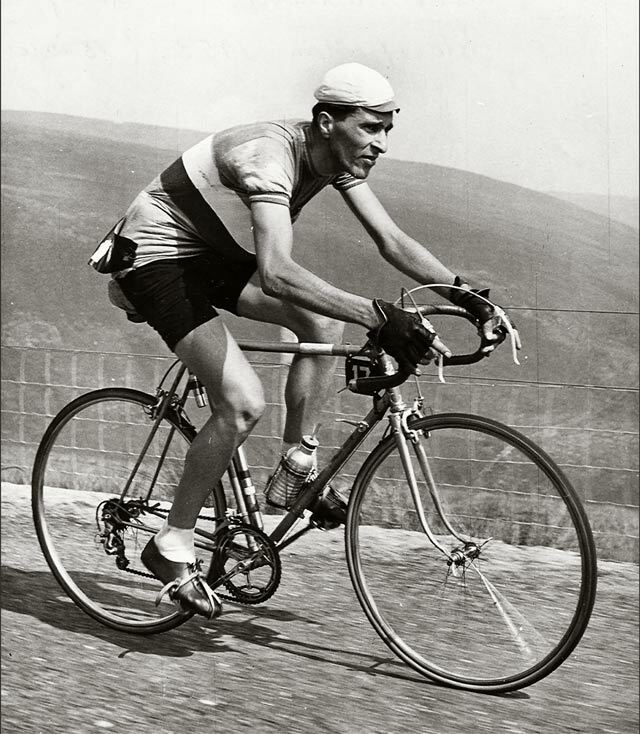 In the mythical days of the past, the local club cyclist thought nothing of doing a 12 hour time trial for fun – nothing too competitive mind you – sill time for toast and teacakes at lunch time. 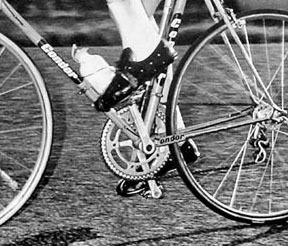 Not only that, but even the tubular tyres were better in the old days. In fact ‘you could race on the A1 and do a dead stop in the middle of the road.’ so an old hand tells me. A bicycling challenged person – A person who is bicycling challenged isn’t very good at cycling, but always has ready reasons as to why this is the case. This is rarely because he can’t pedal very fast, but often because he is very low on the carbonometer. ‘Turkey’ – A more American term for a poor cycle handler. Also called squirrel – a nervous rider who can’t be relied on to ride in straight line. Try to avoid these types in 4th cat road races. The Red Light District This is the time and place when you think it is OK to cycle through a red light. This can range from never – even in the middle of the night when no one is around – to those who will ride through a red light on the assumption that the articulated lorry will be able to do an emergency stop to let you through. Guttermeter This is the distance of a cyclist from the side of the road that will cause a motorist to aggressively sound their horn. This can range from 15cm for Audi drivers to 30cm for sanctimonious Daily Mail readers who will also try telling you you should be paying road tax. GC – General Classification in a stage race. e.g we may say Chris Froome is a good GC rider. Echelon – A group of riders who form during strong crosswinds. Rather than riding behind, riders try to get protection from the crosswinds by riding at the side of other riders. This can split up the peleton into smaller groups as they stretch across the road. Gruppetto – the group of riders trying to make the time limit on mountainous stages. The Grupetto are mainly composed of non-climbers and sprinters who suffer in Alpine stages. Puncheur – A puncher tends to be a short stocky rider, who can power his way up short steep climbs, and excels at the one day classics, like the Tour of Flanders. Domestique. A rider paid to be in the service of his team leader. This may involve chasing down breaks, carry bottles, giving up wheels and generally do the donkey work – sacrificing his own prospects for a regular salary. ‘Gregario’ – An Italian form of domestique. A gregario means someone who works as a team member. A gregario generally fetches bottles and chases down breaks, but he’s much happier because he’s doing out of comradeship and togetherness rather than being labelled a ‘French servant’. Tester – a timetrialist, who in the UK can usually be found racing up and down busy dual carriageways trying to get a new pb for 25 miles. A Polisher A polisher is someone who buys the most beautiful bike and spends many hours stripping and polishing his bike. In fact the polisher will spend so long cleaning his bike, he never actually gets round to riding it, but it is very nice to look at. 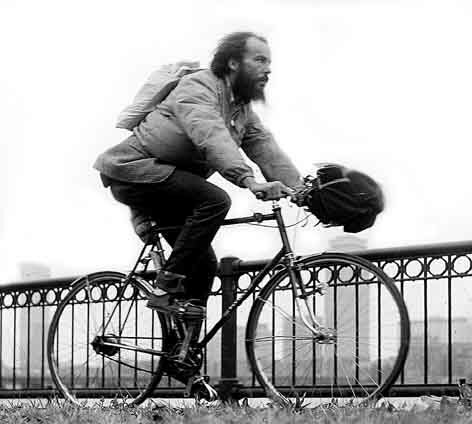 The Beardometer – In the glory days of cycling, there was a theory that you could test the type of cyclist by the length of his beard. The longer his beard, the more slow miles the cyclist will have done. However, this was theory deemed to be no longer practical when in the 1980s, female Russian sprinters started developing beards, allegedly due to the use of certain drugs. Roadie – the all rounder, cool and usually well turned out. Raphista – Someone who likes to dress up smart in very expensive clothes, from expensive clothes brands such as Rapha. May do the odd sportive or else rides around London on a polished fixie. 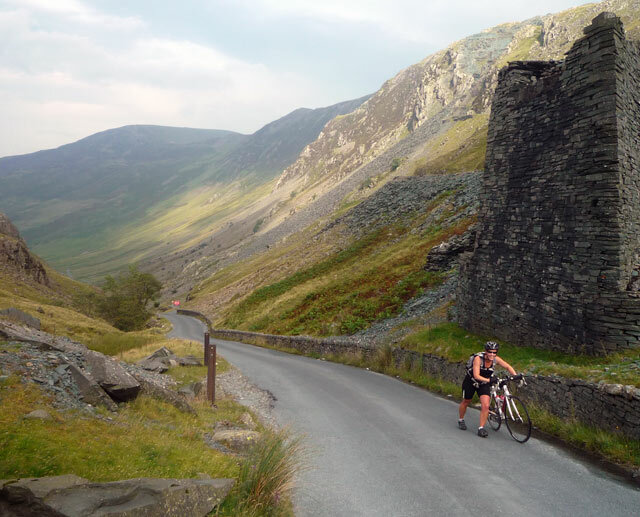 Triathlete – A convenient term used to stereotype anyone who rides in sleeveless tops or has frequent ‘involuntary dismounts’ going around roundabouts. ‘Vintage bike’ A vintage bike can mean one of two things. It can mean it is a classic Pashley made before the war, and lovingly maintained and upgraded. Also, a vintage bike can mean that old banger in the garage that is impossible to ride because it has all rusted away, but you can’t bring yourself to throw it away as it is well ‘vintage’. Though if you have your own cycling term, you’ve always wanted to explain feel free to leave comment.